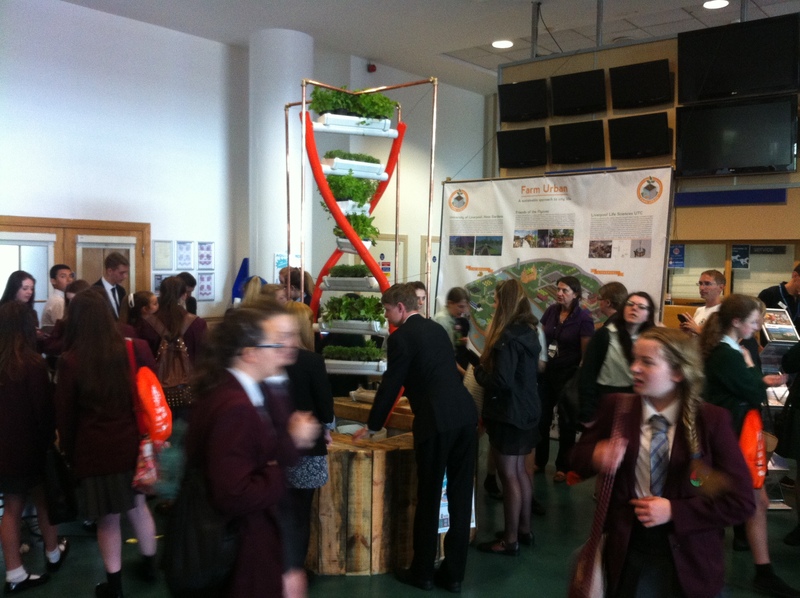 As part of our enrichment program at the UTC, we asked the pupils to help us design an exhibition piece for the STEM Big Bang Fair, that took place at Aintree Racecourse on 8th July 2014. 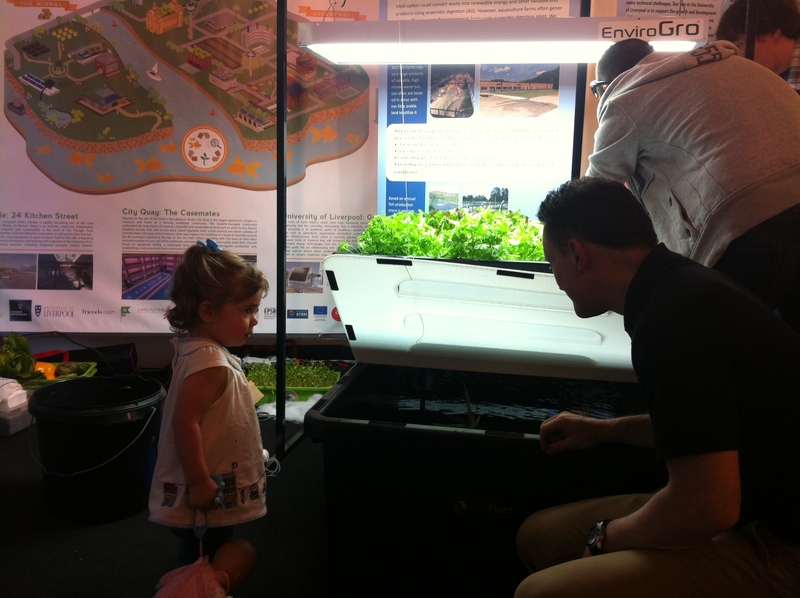 The aim of the enrichment program had been for us to teach the pupils about urban farming and sustainable cities, but it quickly became clear that we could learn as much from them – particularly when it came to creativity. 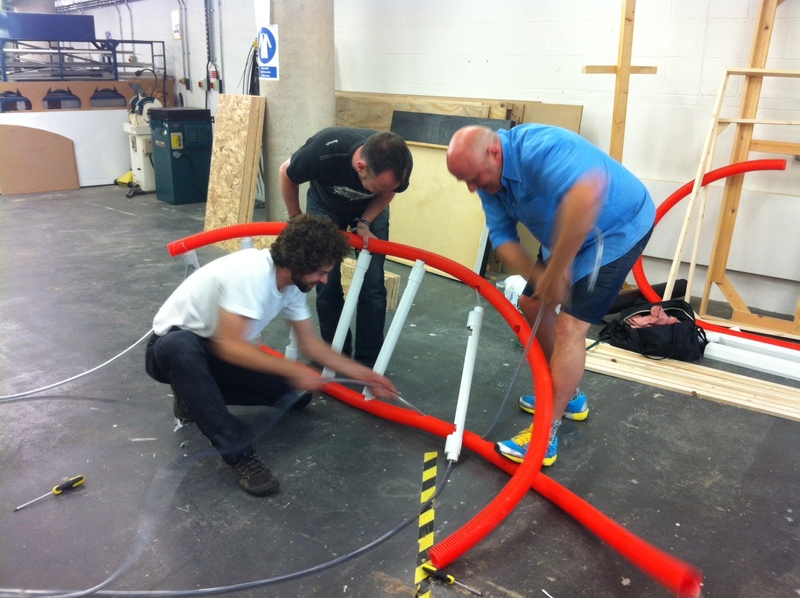 We arranged for Steve Threlfall from Different design studios to come and run a design workshop to help prepare our team for the task of designing the exhibition piece. 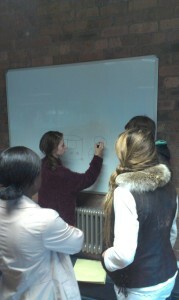 Our team took the class like ducks to water and were soon scribbling on whiteboards and scraps of paper across two classrooms, covering them with weird, wonderful and inspirational ideas. 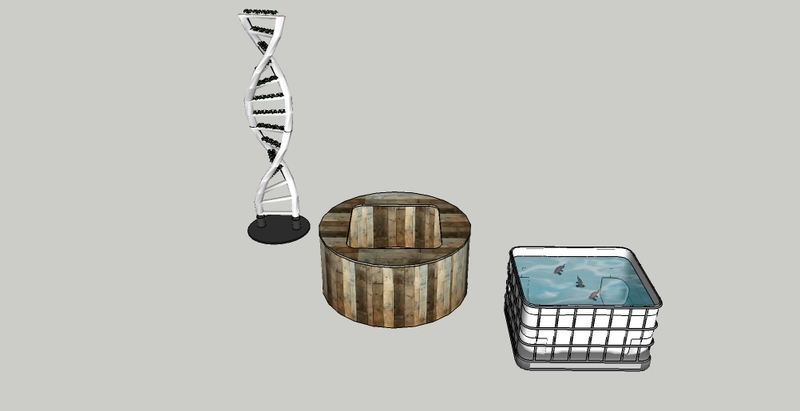 At the end of an hour we had more ideas than we know what to do with, including the genius idea of an aquaponics installation that was in the shape of DNA. 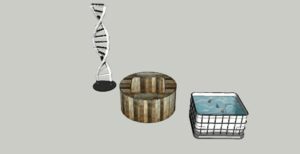 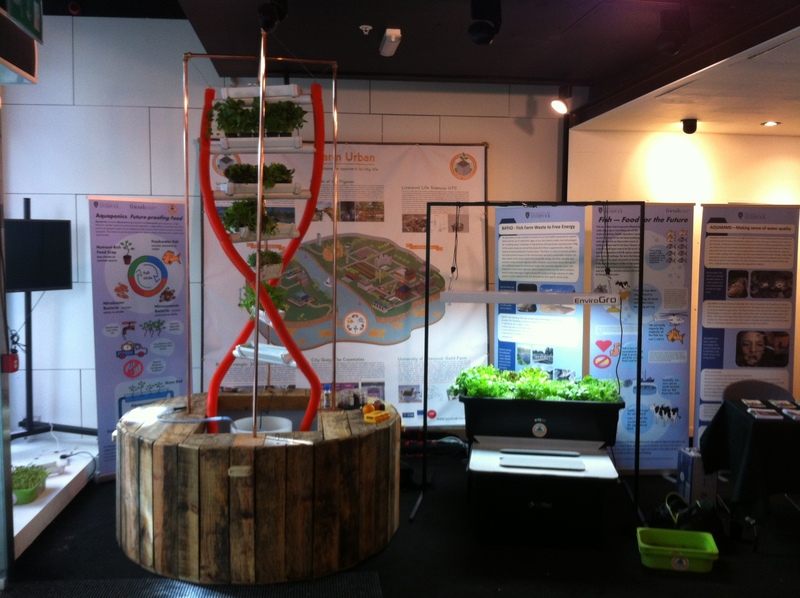 We just couldn’t resist the symbolism; DNA is the molecular source of life, the UTC specialises in life sciences, and aquaponics produces sustainable, life-giving food. 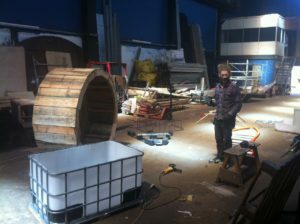 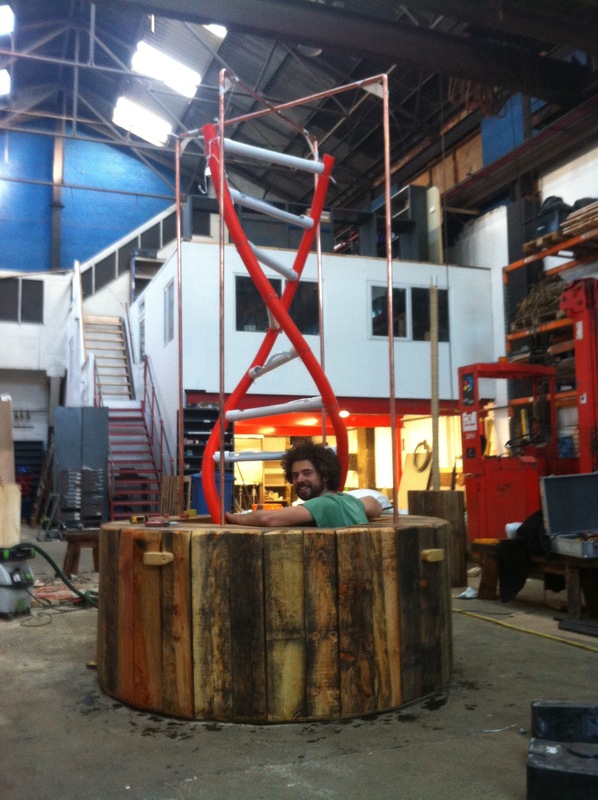 Over the next couple of weeks, our team helped design and prepare the rest of the exhibition, and in a frenzied rush over the weekend before the Big Bang, we managed to put the final touches to the double-helix and set it up at the Big Bang. The fair was a triumph, with the helix taking centre-stage and our team buzzing around it explaining to all and sundry what aquaponics and urban farming are, and how they are going to save the world. 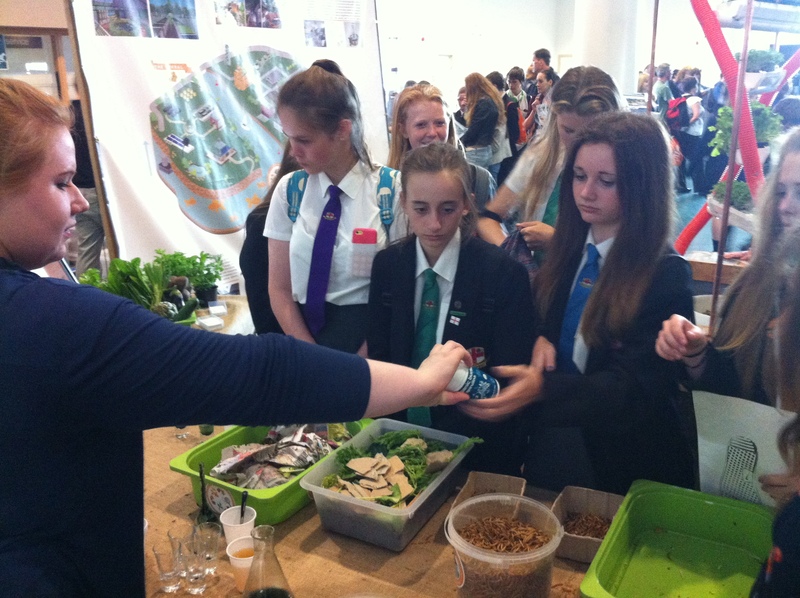 They’d designed games and surveys to help engage with the public and collect information, and had even been bold enough to persuade us to buy mealworms and locusts, which we’d cooked and were handing out to demonstrate the potential of insects as alternative sources of proteins. These were washed down with a shot of spirulina and apple-juice, which certainly made our stand the healthiest on the racecourse. 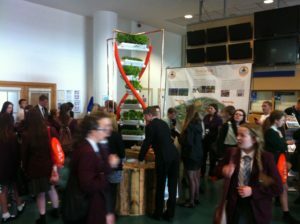 It’s a testament the passion and persuasiveness of our team that almost everyone who wandered passed stopped to talk and admire the helix, and left with a head full of knowledge and a stomach full of mealworm cookies and chocolate-covered locusts. 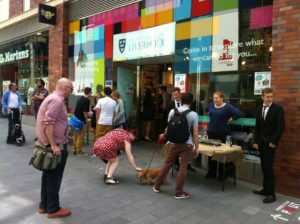 The week we finished the double helix coincided with the University of Liverpool running a pop-up shop in Liverpool one as part of Liverpool’s International Festival of Business. This was too good an opportunity to miss, so we went through the unenviable task of dismantling the double-helix, packing it into the back of the Institute of Integrative Biology’s trusty transit van and driving it across Liverpool to Liverpool One. We set up the double-helix together with a (slightly) more conventional aquaponic system being developed by our aquaculture guru Dr. Iain Young, which turned the shop into an oasis of green and with the soothing sound of trickling water in the background. Our aquaponics enrichment team from the UTC came down to help explain how everything worked, and soon had the shop thronged with passers by, and even managed to get the majority of them sampling mealworms and spirulina shots. 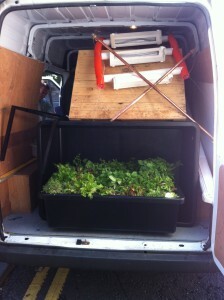 The two days in the pop-up shop were not the end however. There was one last outing for the double-helix on Liverpool’s Flyover, courtesy of a festival run by Liverpool’s Friends of the Flyover – of which we our proud to consider ourselves friends and ardent supporters. 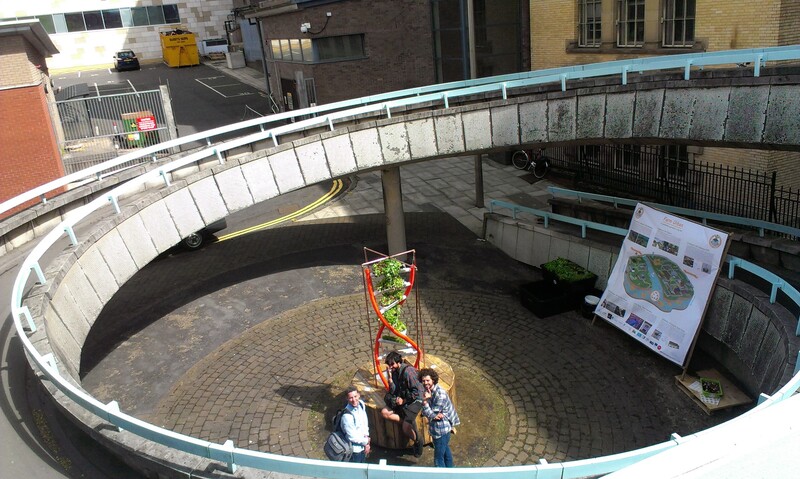 The helix somehow survived another journey in the van and looked amazing sat in the heart of the spiral walkway that leads up to the flyover. 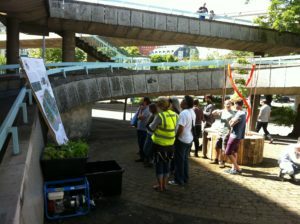 It was fantastic to see what the flyover could become, and even more important to see how aquaponics could fit into it. 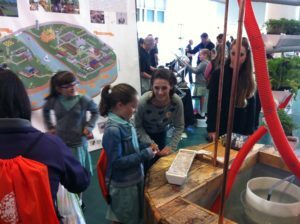 We were constantly surprised by how many people stopped and expressed an interest in what we were doing and how it could fit into the future plans for the flyover. After a beautiful afternoon in the sun, the helix was then packed away one last time for it’s journey to it’s new (and hopefully somewhat permanent home) in the foyer of the UTC, which is where it sits now if you’d like to go and visit it.